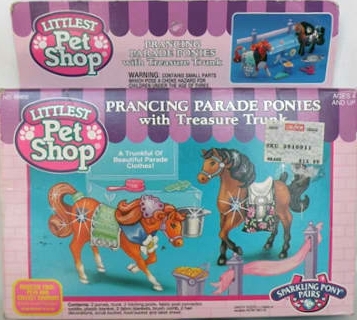 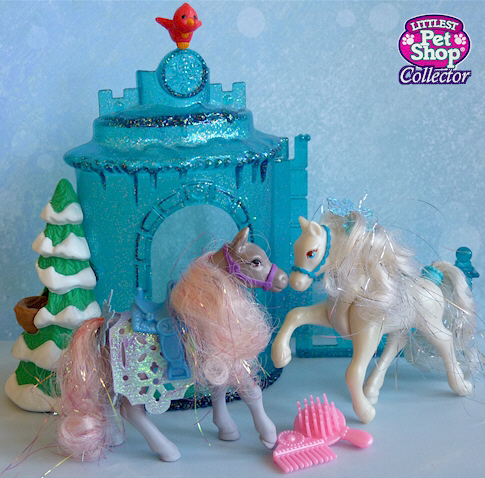 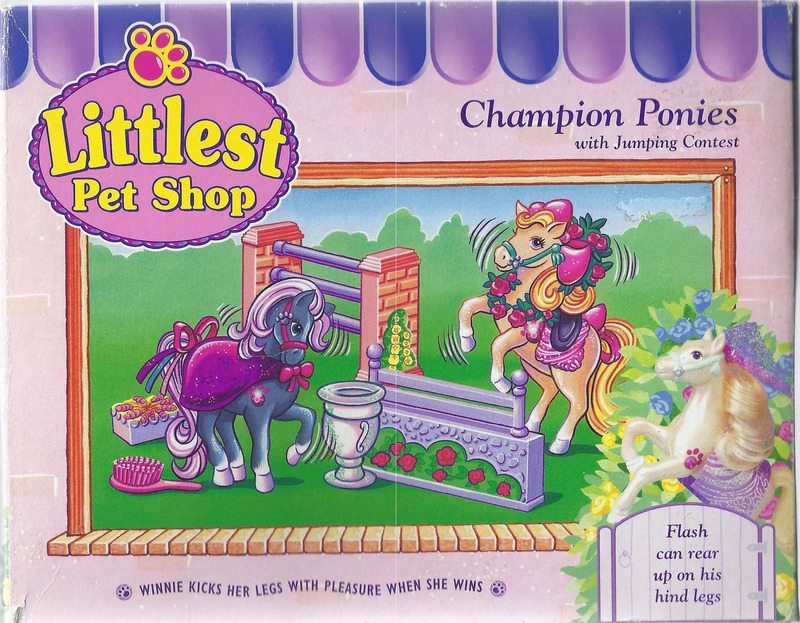 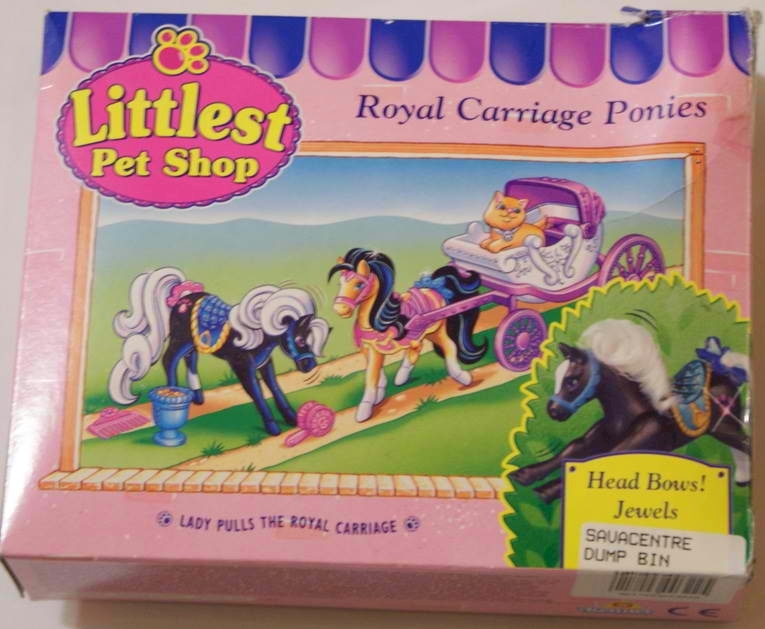 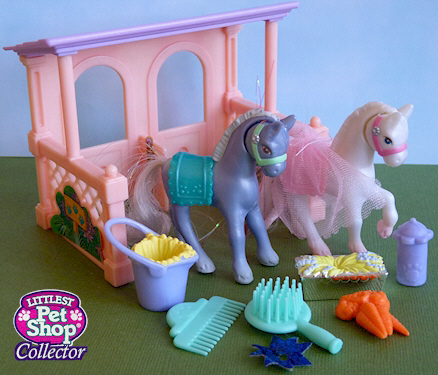 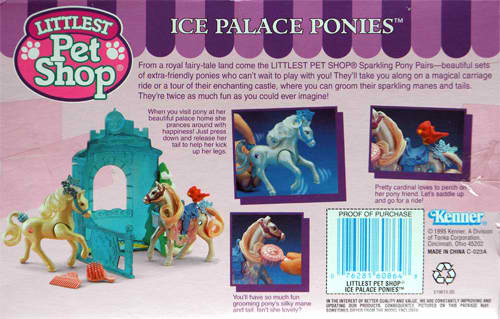 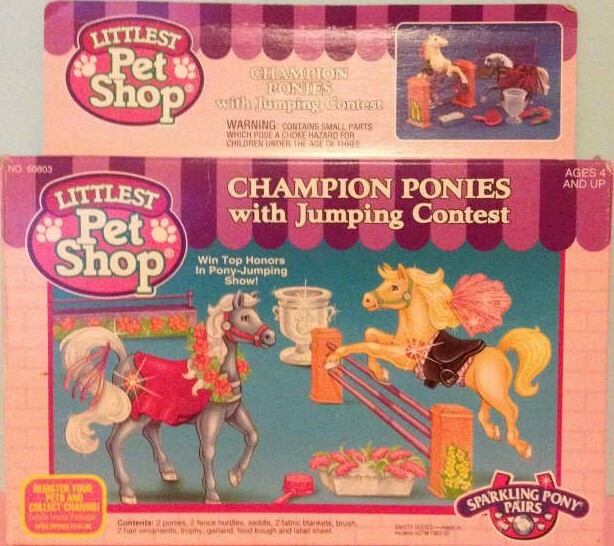 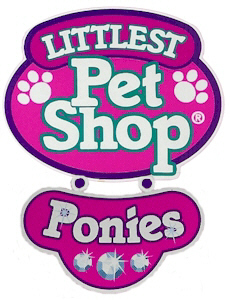 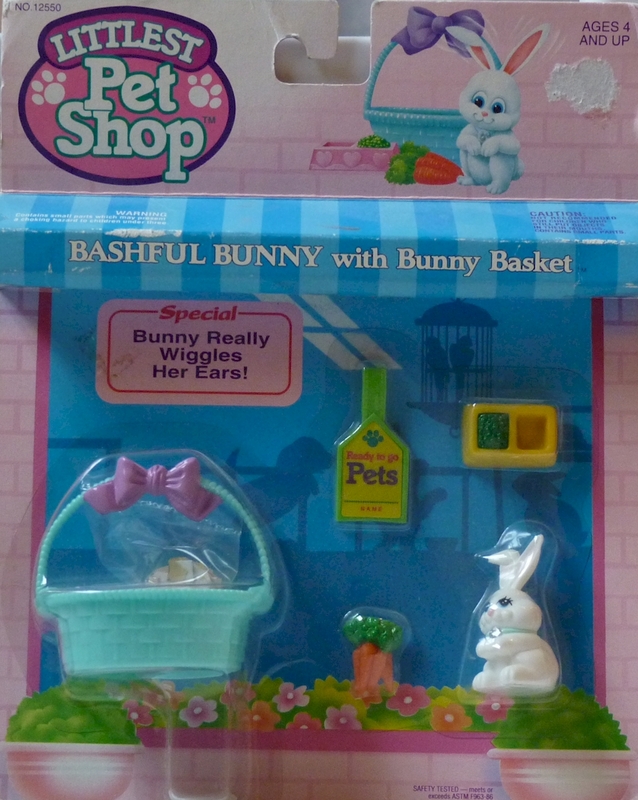 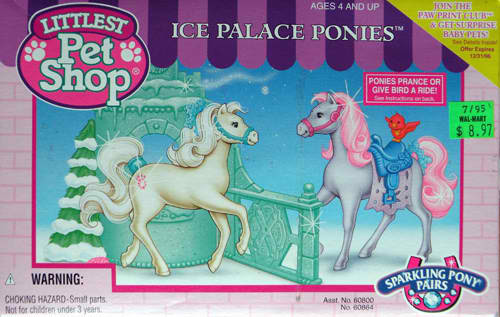 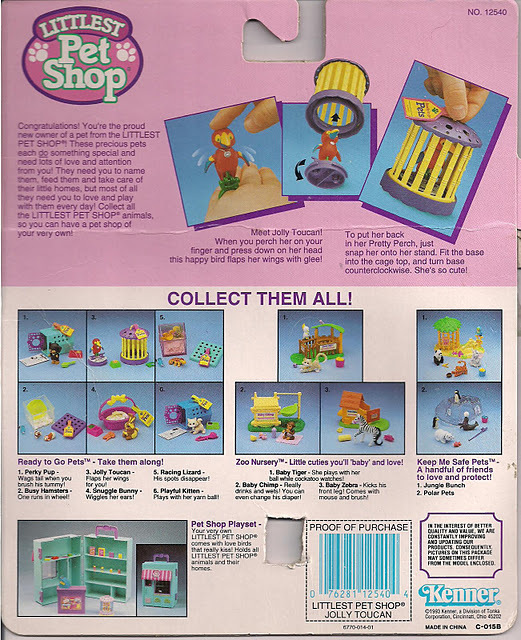 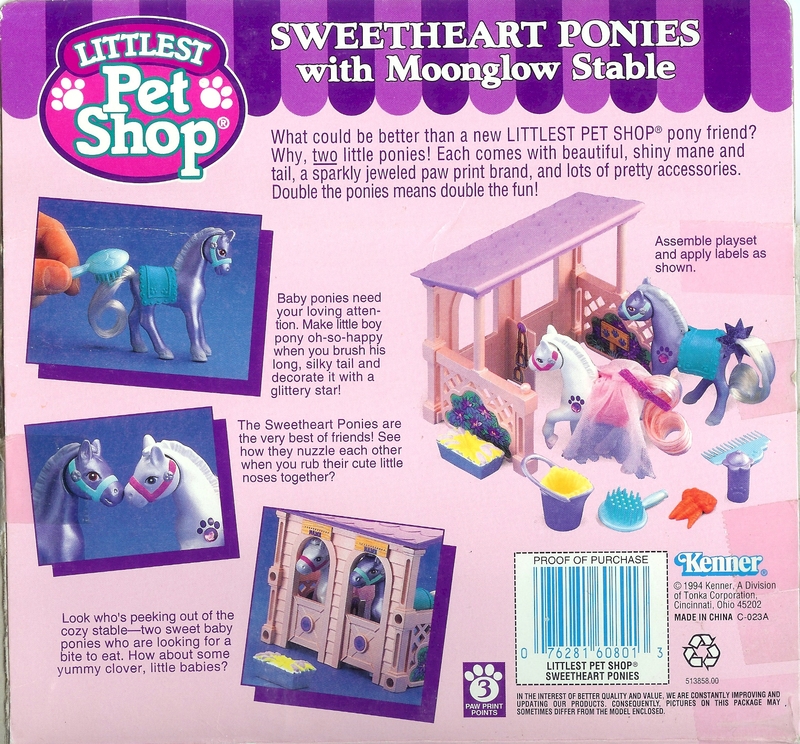 What could be better than a new LITTLEST PET SHOP pony friend? 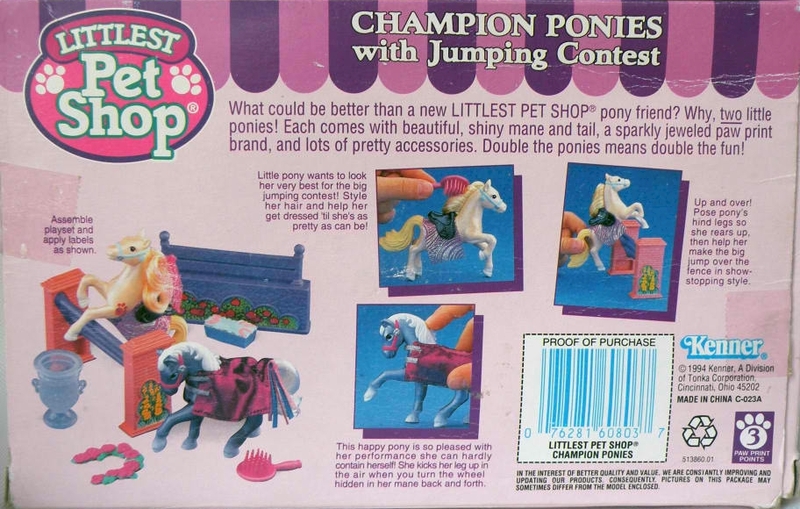 Why, two little ponies! 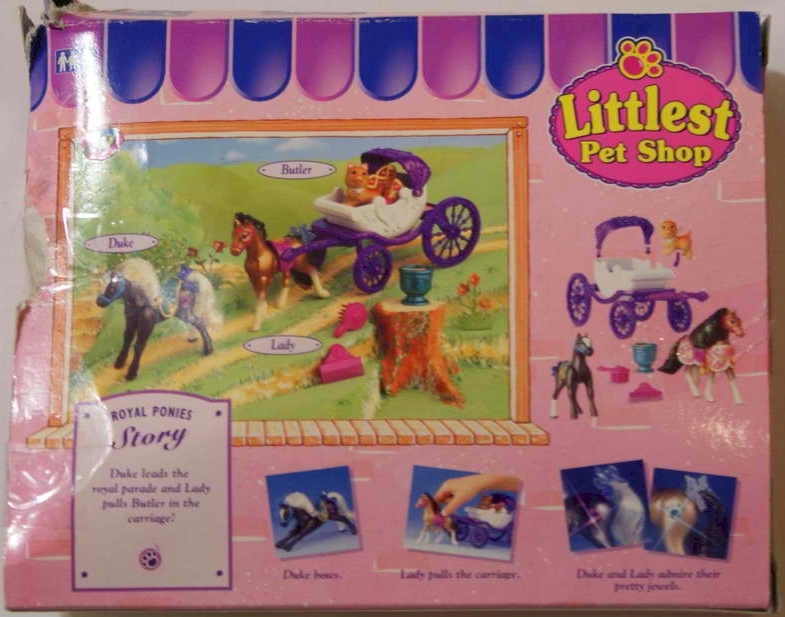 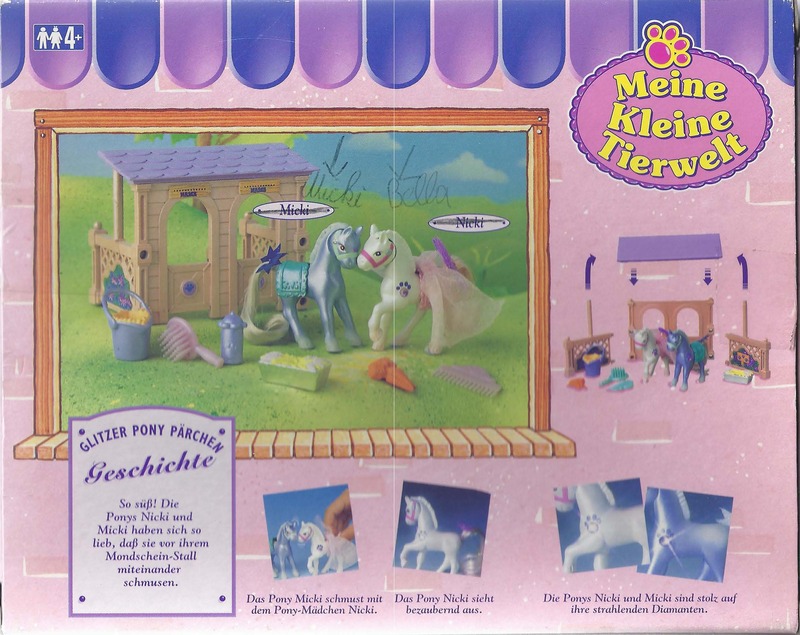 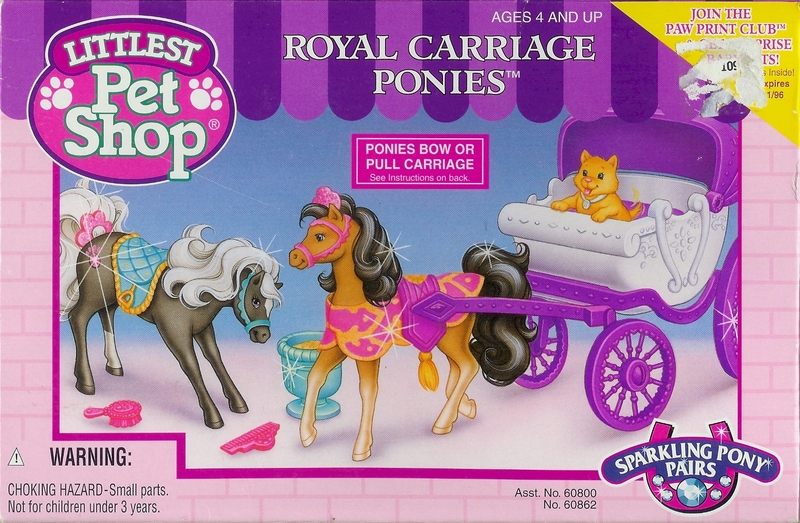 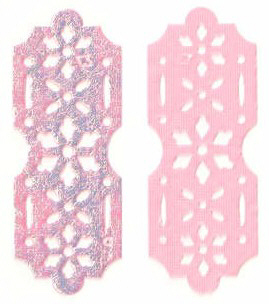 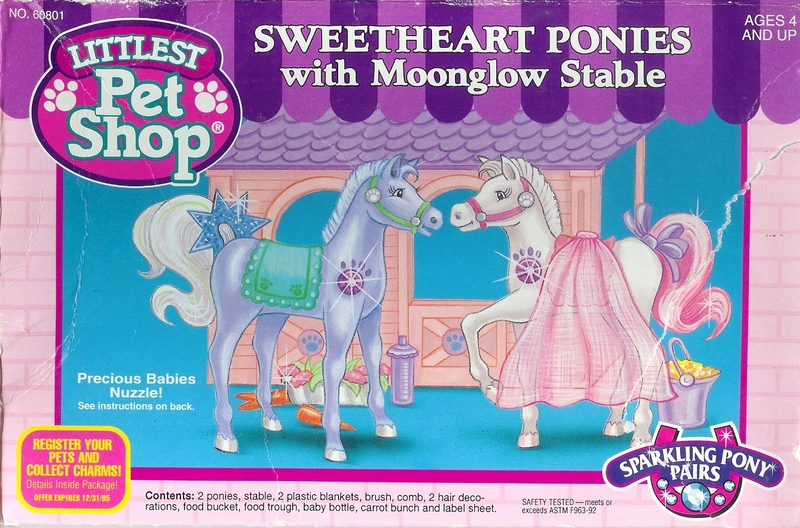 Each comes with beautiful, shiny mane and tail, a sparkly jeweled paw print brand, and lots of pretty accessories. 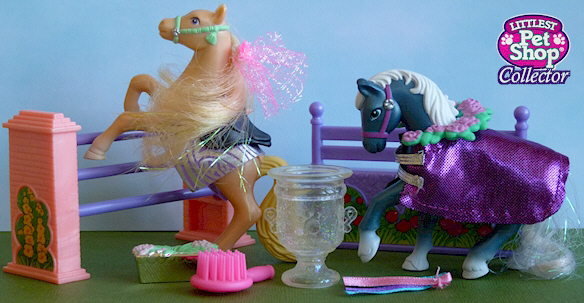 Double the ponies means double the fun! 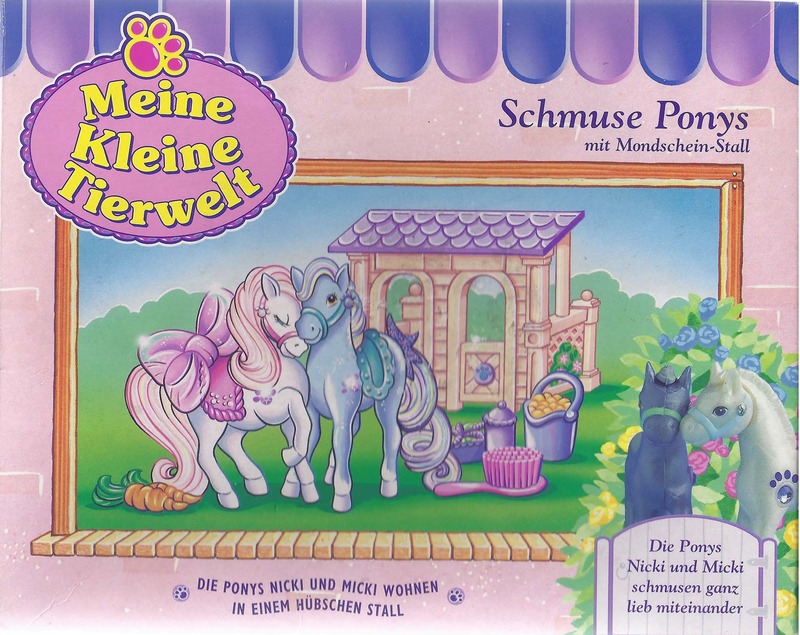 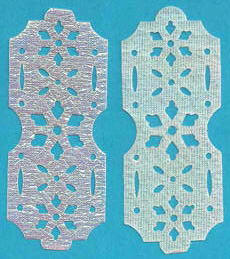 European release of stable is on the right. 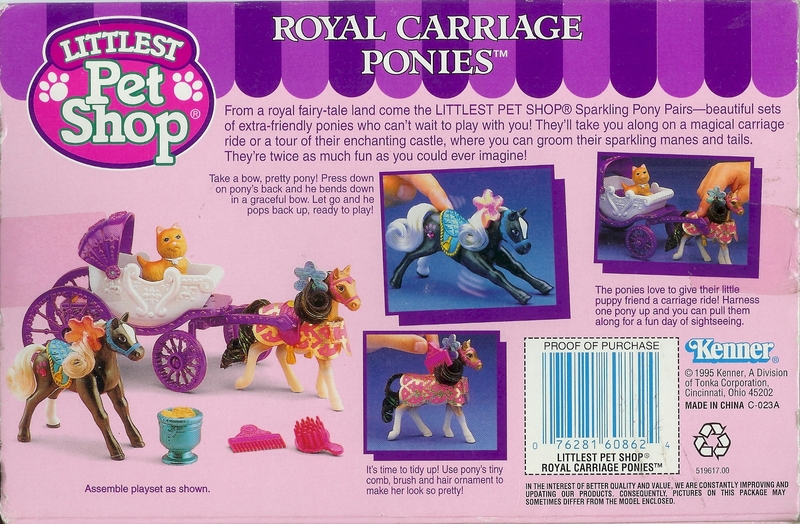 From a royal fairy-tale land come the LITTLEST PET SHOP Sparkling Pony Pairs - beautiful sets of extra-friendly ponies who can't wait to play with you! 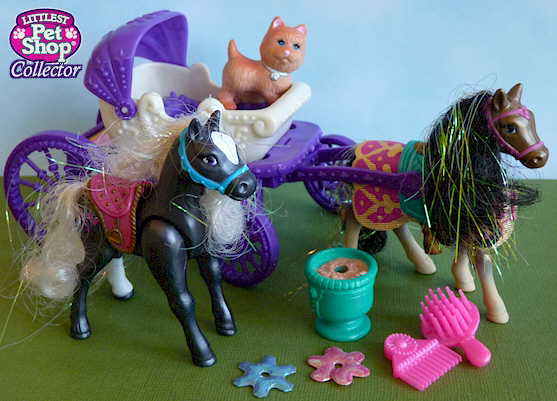 They'll take you along on a magical carriage ride or a tour of their enchanting castle, where you can groom their sparkling manes and tails. 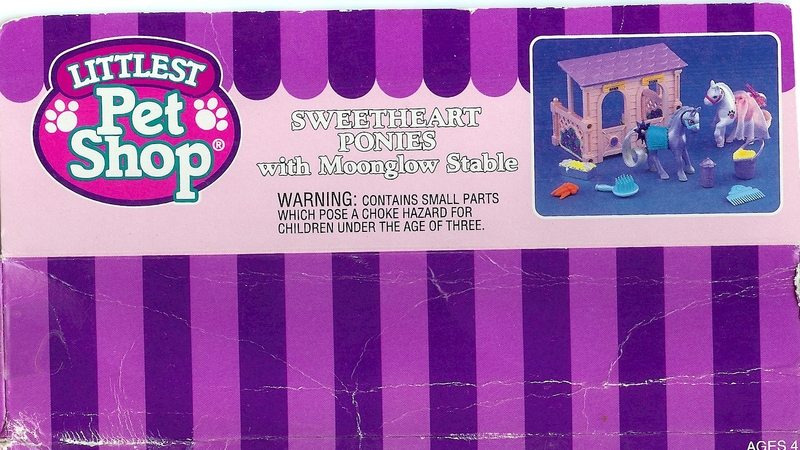 They're twice as much fun as you could ever imagine! 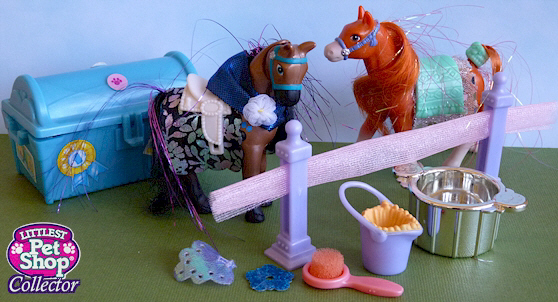 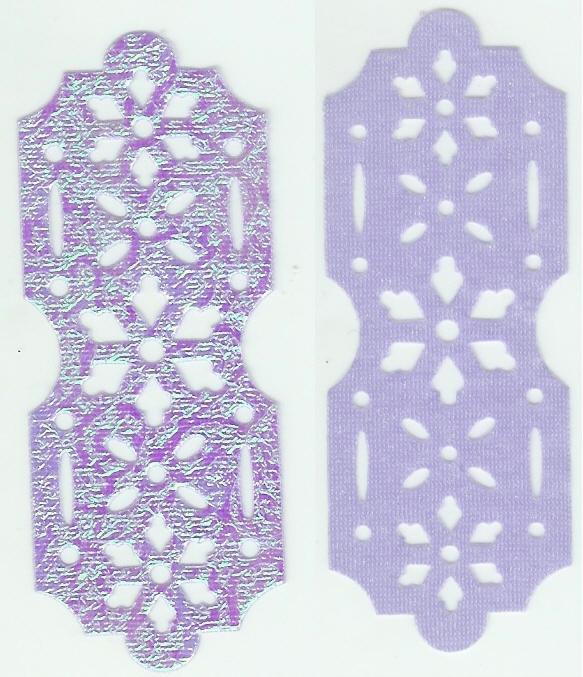 Photo shows usual saddle colors: aqua saddle and magenta harness.